We will give you a better roofing system than your last one. "IF IT CAN BE DONE, WE WILL DO IT. HOWEVER, WE WILL NOT DO SOMETHING THAT WILL LEAD TO ISSUES IN THE FUTURE. WE WANT TO GIVE YOU THE BEST ROOF FOR THE BEST PRICE. THIS IS OUR PROMISE. IF SOMEONE CAN GIVE YOU A LOWER PRICE ITS MOST LIKELY BECAUSE WE ARE GIVING YOU A VALUE THEY ARE NOT. WE BELIEVE, YOUR DESERVE A BETTER ROOF THEN YOUR LAST ROOF AT A LOWER PRICE"
Then you got to compare Apple to Apples & Orange to Oranges. If we give you an estimate or bid for architectural shingles with an additional amount of $1000 worth of ridge vent, at no cost to you. While another company gives you a lower bid by $400, would that be a fair comparison? Also consider, what is the warranty being offered ? What is the brand name of the shingles or materials that will be used? Are they using rubber or Aluminum boots? Also, are they certified? Are they insured? How many roofing contractors would you have to call to get a fair comparison bid with us? Honestly, more then 50. 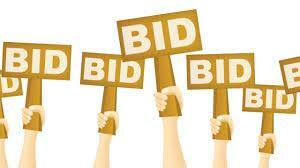 If you get a lower bid then us, are you willing to accept we can give you the same package they are for 5% less? You are aware that insurance companies only pay out what they have to. So, since they are already cutting corners, we have to be careful not to. You, as the homeowner has to make sure your roofer or roofing contractor is not cutting any corners. "IF IT CAN BE DONE, WE WILL DO IT. HOWEVER, WE WILL NOT DO SOMETHING THAT WILL LEAD TO ISSUES IN THE FUTURE. WE WANT TO GIVE YOU THE BEST ROOF FOR THE BEST PRICE. THIS IS OUR PROMISE. IF SOMEONE CAN GIVE YOU A LOWER PRICE ITS MOST LIKELY BECAUSE WE ARE GIVING YOU A VALUE THEY ARE NOT. WE BELIEVE WE ARE NOT BEING FAIR IF WE DO NOT GIVE YOU A ROOF THAT IS BETTER THEN YOUR LAST ROOF"
Your roof is an important part of your life's investment. The roof protects the entire house and everyone in it. DFW Best Roofing, offers top quality roofing installation, repairs, re roofs, and roof replacement for both residential and commercial roofs, we do all types of roofing systems. We Have in the business to know long enough to know if you do not target top quality in your craftsmanship its going to come back to bite us. We are absolutely committed to quality and we would like to add you to our list of happy customers. DFW Best Roofing can help you with any roofing installation, roof replacement, or roof repair and we will recommend the best options to you. If you have a roof leak, do not just ignore it. Just give us a call, and we will help you make the best decision. No matter what type of roof you have, or what type of roof you would like, shingles, metal, tile, flat roof, we have crews that can get you the right solutions. Call DFW Best Roofing for the best roof repair or roof installation. Your roof is a big part of your investment. Weather you need your commercial roof done, or your residential roof taken care of, let DFW BEST ROOFING provide you with an exceptional service at a very affordable price. With DFW Best Roofing your project will be put in the hands of professionals. Our customers will tell you our experience, is your greatest gain. We would be pleased to talk to you about your roofing needs. Call, DFW Best Roofing and let us know how we can help you with your project. 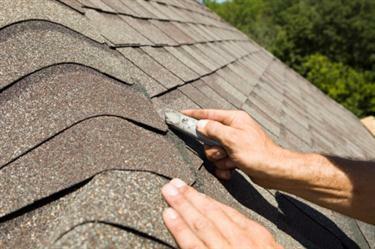 DFW Best Roofing is the best roof repair service provider in Dallas and Fort Worth.